This is my third Richard Dillon album I have covered this year. Previously I had the pleasure of hearing and commenting on Irish Mist and The Land of Nod Lullabies for the Listless. Now I get to turn the clock back to 2014 and enjoy Ring Around The Moon. This comes at the right time of year. 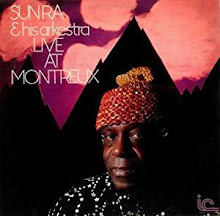 Although you folks that live where the sun is shining and its warm may not feel the same hearing this music, you have my personal guarantee it will warm your soul. One look at the cover of Ring Around The Moon and you can feel the cold crisp Winter air hitting your face. The moon shines brightly like a nighttime sun and the ring emanates around it like something spiritual and magnificent. This is something so simple yet so beautiful and amazing…only if you take the time to look at it and let it infuse your spirit. The same goes for the music you hear on this recording. 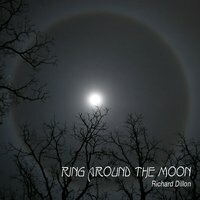 The 13 tracks on Ring Around The Moon are naturally connected just like the moon and the stars are connected to mother earth and all its inhabitants. I know the joy of “Walking Through the Woods On a Snowy Evening” and getting home for “Hot Cocoa By the Fire.” There is some magic and truthfulness in this music. I live in the perfect setting for this music and I found an instant connection just looking at the track list before I listened. New England has four seasons, each one offering its own distinctness. “Scattering of Stars” I found quite stirring, with its changing paces and sentiments flowing through me. It reminded me of the saying “Stardust We Are.” How pure and true the meaning of all this music came to me. This is the way instrumental music should affect you. Its authority and majesty just glide from one track to the next, owning the titles the creator gave them. It is just the way it was meant to be. Ring Around The Moon encapsulates the Winter season and everything you can enjoy about it. There is beauty in the eyes of the beholder, if in fact those eyes are clear and see what is in front of them. Sometimes it takes a little nudge from talent like Richard Dillon to make you see it all.